Have we really finished another year? Apparently we have, according to the dollar store puppy calendar on my wall. 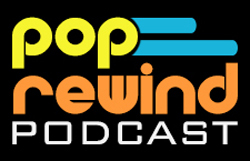 It’s been a fun year for us at PopRewind.com and we’re looking forward to the future. Of course, we realize most of you are spending this week’s lunch breaks at office sweater parties, so we thought we’d do you a favor and pick the Best of PopRewind.com 2014 Edition. Only got five minutes before someone brings in the cupcakes? No need to spend time digging through the site, we have all your favorite moments from 2014 to re-live! 13 Classic Episodes of Are You Afraid of the Dark?